Hattie Larlham is proud to be recognized by the Employers Resource Council (ERC) as one of Northeast Ohio’s best places to work. This is the seventh time Hattie Larlham has received the NorthCoast 99 award. NorthCoast 99 recognizes great places to work. The award is designated for top-performing companies that drive results, provide competitive advantages and allow businesses to innovate and grow. Applicants are evaluated based on policies and practices related to the attraction and retention of top performers, as well as data collected from employee surveys. Hattie Larlham has more than 980 employees throughout Northeast Ohio – including 185 adults with intellectual and developmental disabilities receiving work training at Hattie’s Food Hub, Hattie’s Café & Gifts, Hattie’s Gardens, Hattie’s Doggie Day Care & Boarding, Hattie’s Assembly and Hattie’s Vending. “We’re extremely honored to recognize the 2016 NorthCoast 99 winners. These organizations have earned the right to call themselves a great workplace by their dedication to attracting, supporting, retaining and motivating their top performers. ERC developed the NorthCoast 99 program with the hopes of inspiring local leaders to promote the great workplace movement,” said Pat Perry, ERC president. The annual NorthCoast 99 event to recognize all the winning organizations will be held Thurs., Sept. 22 in Mayfield Heights. Established in 1961, Hattie Larlham is a nonprofit organization headquartered in Twinsburg, Ohio. The organization provides residential, medical, recreational and work training services to children and adults with intellectual and developmental disabilities throughout Northeast and Central Ohio. Statewide, 1,800 people with intellectual and developmental disabilities receive services from Hattie Larlham. 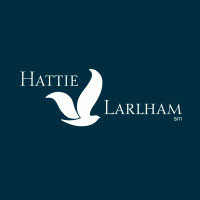 For more information, visit www.hattielarlham.org. NorthCoast 99 is an annual recognition program that honors 99 great workplaces for top talent in Northeast Ohio. The program focuses on organizational practices and performance. The program is presented by ERC (www.yourerc.com), the area’s leading professional services organization dedicated to HR. Sponsors of the NorthCoast 99 program include: Anthem Blue Cross & Blue Shield, CareerCurve, Cleveland Magazine, ERC Health, Frantz Ward LLP, Gino’s Awards, Oswald Companies, Staffing Solutions Enterprises and Ultimate Software.